It is one of the more variable echervias, with the usual normal, variegates and cristates all being avaiable. 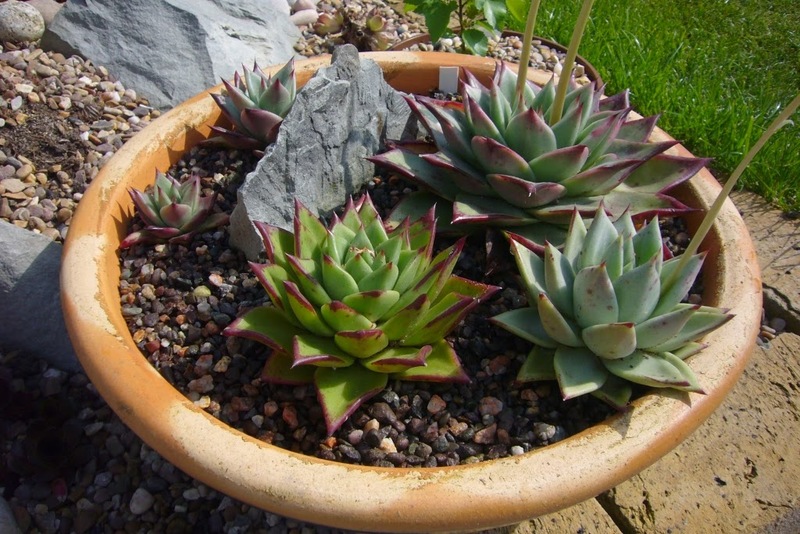 Perhaps what sets it apart more is the number of different forms of e. agavoides and it is easy to becoe obsessed with them all. I posted about my collection of different forms back in August, here. The red edged forms are mainly planted in the ground, but one is on a mixed bowl of some of the best forms. 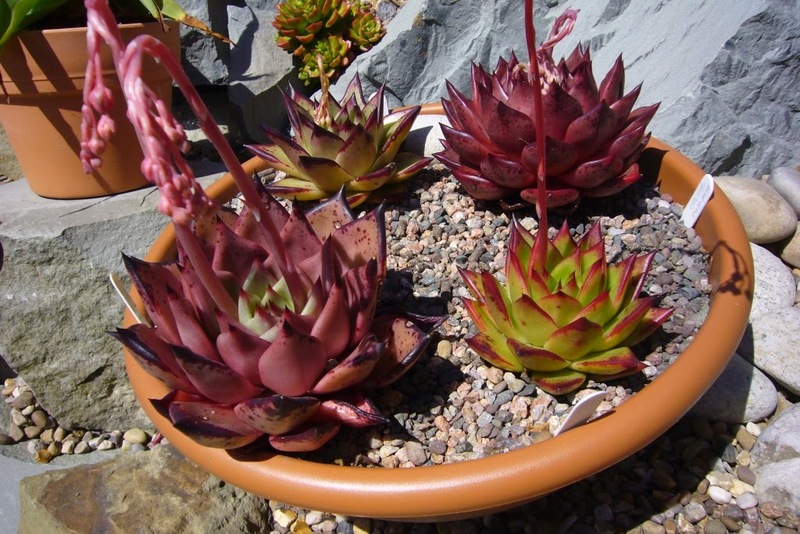 Looking at them you would not guess the two red forms where e. agavoides. 'Sirus' is on the left and 'Romeo' on the right. The best thing about them is that they hold their colour and look this good all year. 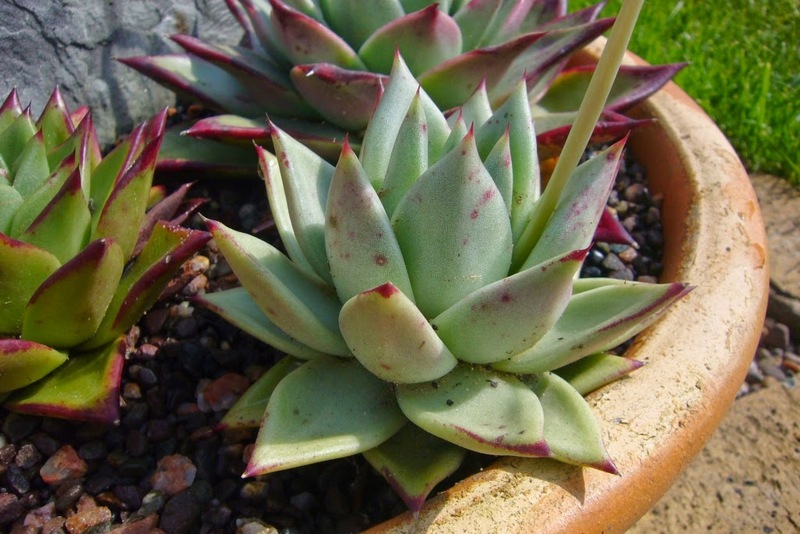 The most sort after of the lot is e. agavoides ebony. Most of mine are now in one bowl which is filling out nicely now. I am torn about the second largest of these, to me it looks more like red edge than ebony. Given how in demand it is you often see them sold as ebony when they are not. I had doubts when purchasing it, but the seller was really respected and so assumed it would grow into the colour. Sadly it looks wrong and may have to be removed from the pot when the next set of offsets turn up. It could have been a genuine mistake. Most of mine came from seed and while most come true, some do not. Which leeds onto the pale green one. There is no doubt it is a mutated form of ebony, something has just changed to stop the dark pigment from being around the edge. Instead it is developing spots. It is much slower growing than the normal form, it actually came for the same seed group as the largest in the bowl. There will be updates as it develops. They will all be fed this year, assuming it is not too wet, so the bowls will look very different by the end of the summer. Hopefully, apart from faster growth there will be offsets as well. 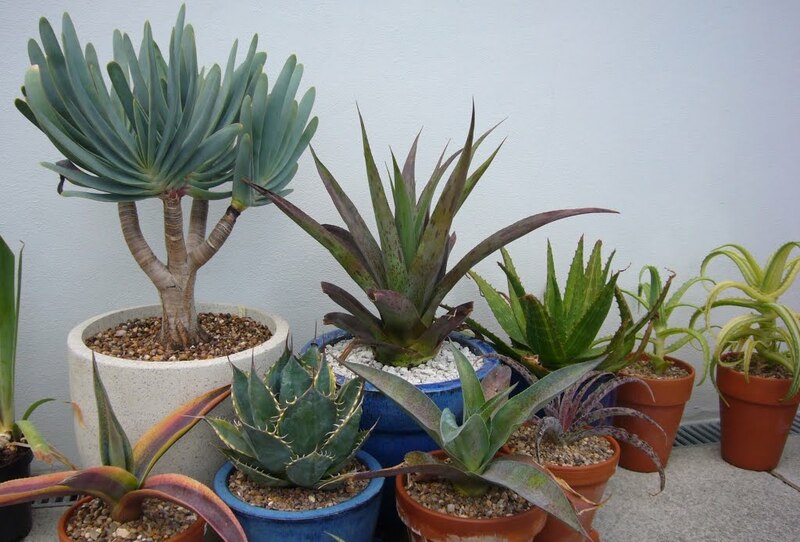 I look forward to both bowls overflowing with plants. You have some really beautiful variations there. The red shaded selections are so dramatic! That species is a particularly good one here, making a big healthy colony in the ground, though they get spots here too--fungal infection, I think. I am more relaxed when they are grown in the ground, my red edges mainly did ok,out of 5 3 are fine, one lost everything except the growing point and 1 died. The good thing is they grow so quickly. Cleaning up the aloe viper. First proper work in the greenhouse. Some colour and some planting.